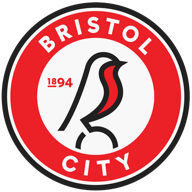 Wade Elliott earned Bristol City an impressive 2-1 victory over Sheffield United in the opening fixture of the Sky Bet League One campaign. Debutants Aaron Wilbraham and Michael Higdon ensured that two sides much-fancied for promotion in 2014/15 entered the interval all square, but it was to be the visitors to Bramall Lane who left with the spoils after an entertaining and hard-fought encounter tipped in their favour. City bossed possession during the opening exchanges and saw their endeavour rewarded on 20 minutes with the opening goal. Mark Little’s driving run down the right took him to the by-line and his floated cross was met by a powerful header from Wilbraham that Mark Howard was able to get a hand to, but could not keep out. United’s response to falling behind was impressive and they hauled themselves back into the tie inside 12 minutes. Just past the half-hour mark, Ben Davies swung over a free-kick from the right and summer recruit Higdon rose highest to glance into the bottom corner past a helpless Frank Fielding. United had already seen Aden Flint hack one effort off the line before their leveller and they entered the break with momentum building firmly behind them. They were unable to build on it, though, and saw the visitors force their way back into the game – with Sam Baldock and Wilbraham a front pairing that will cause any opposition problems in the third tier. It was the latter, building on his opener, who helped to lay on the winner, with a clever flick over his shoulder running kindly for Elliott. The veteran midfielder kept his composure when presented with a clear sight of goal to hold off his man and drill low under the onrushing Howard. 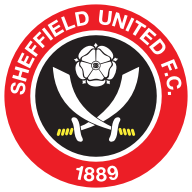 Nigel Clough’s hosts came close to snatching an equaliser late on as Jamie Murphy looked to force the ball over the line, but he was to be denied by an outstretched hand from Fielding and the width of a post.